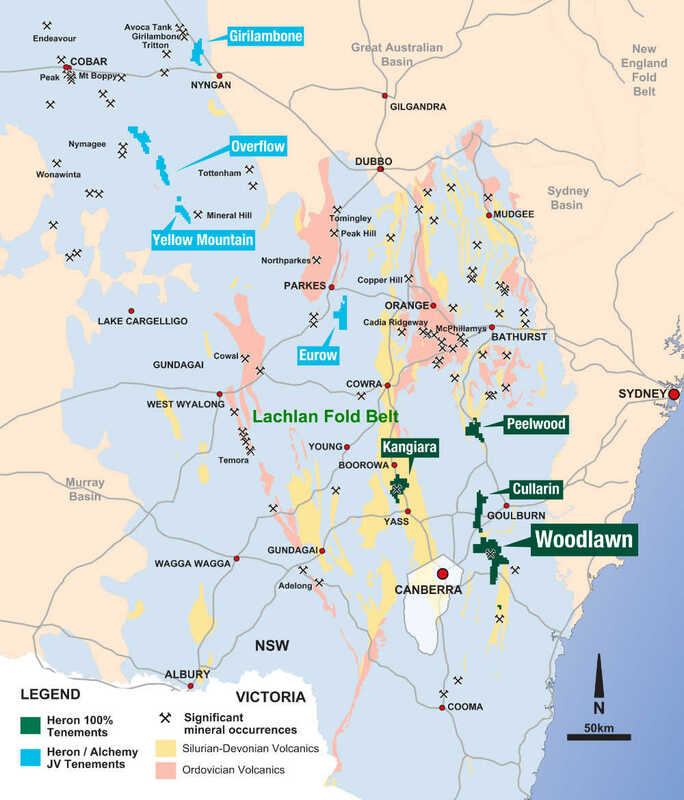 The Woodlawn Zinc-Copper Project is based at the former Woodlawn Mine site located 30km south of Goulburn and 220km southwest of Sydney. Heron’s Woodlawn Project remains one of the few new zinc projects that is fully funded to production and, with construction now underway, this places the Company on track to participate in the pricing environment that is supported by the strong zinc physical market. Heron continues to maintain and explore a strategic, 620km² tenement package over the prospective Silurian volcanic rocks around the Woodlawn Mine. The exploration strategy is to focus on known mineralisation with comparable metallurgy to Woodlawn and within proximal trucking distance of the Woodlawn concentrator. Targeted satellite production feed grades and other economic parameters will look to displace tailings reprocessing as the plant feed. A number of excellent targets with growth potential in high quality VMS district exist including Currawang, Cullarin, Kangiara, Crosby and Peelwood.